Tribune Bay was very busy as it is a long holiday weekend. I came to Jedediah Island today, a former homestead that is a provincial park now. There is still an orchard with apples and pears, but I did not find the plum tree we harvested from over 10 years ago when we were here with Andrea. There are sheep and goats on the island, supposedly introduced by the Spanish a few hundred years ago, I only saw a few sheep and a few other boaters today. 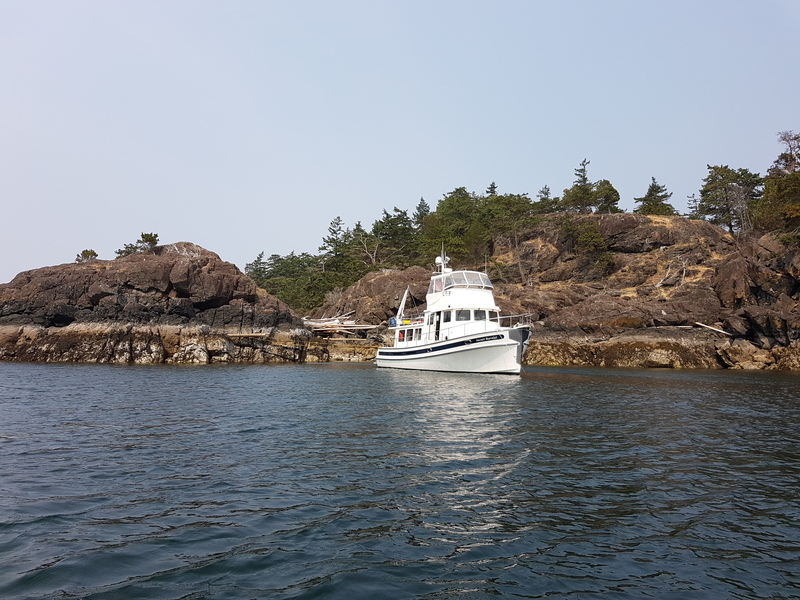 There are many places to anchor around the island, and I have my little bay all to myself.